This week the College commenced further building refurbishment of general learning spaces on the top floor of the Chanel building. 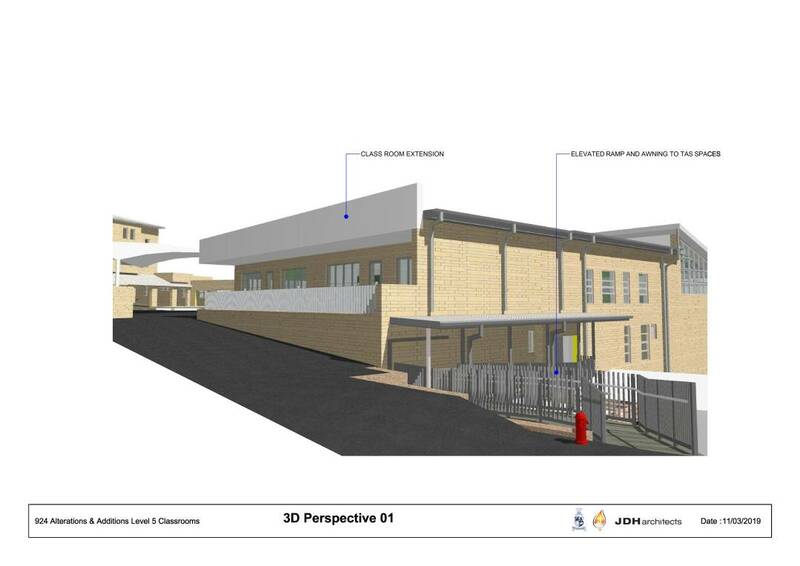 This refurbishment will create two additional classrooms to the current space. 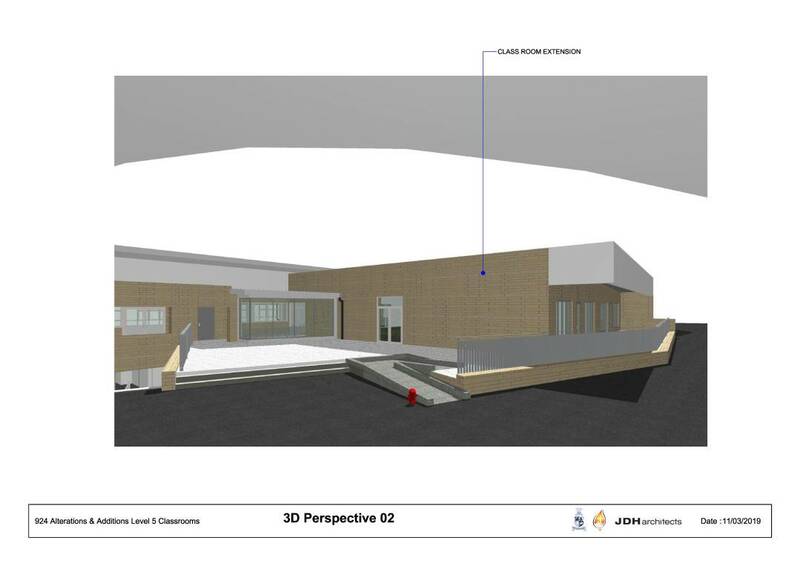 On completion, the space will feature 8 classrooms and a large breakout space. The classrooms will feature glass and whiteboard walls to enhance different ways of learning and allow for light filled spaces. Retractable walls will allow the opportunity for larger spaces to be created for team teaching and House/Year meetings. The roofline will be extended to provide shade cover over Futuna Terrace and additional shade cover will be added to other playground spaces. 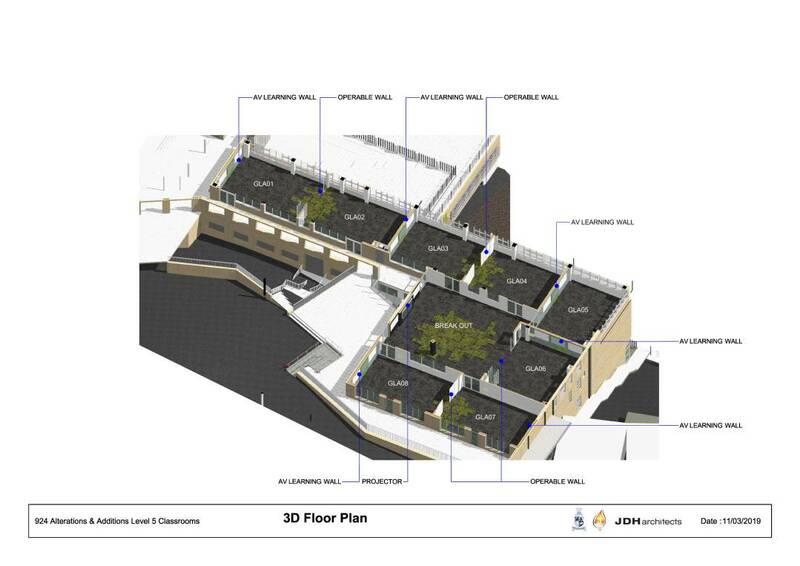 Below are 3D images that provide an artists impression of the works. During the week, I had a meeting with the Western Regional Manager of Sydney Buses. At this meeting, I expressed the continued concerns of both the College and our parents/carers in relation to the unreliability of the services. These concerns were in relation to the late arrival of the buses in the morning and also in the afternoon. I provided the particular details of dates, bus route numbers and arrival times. I am confident we are starting to get some traction with Sydney Buses, however, we have further work and negotiations to go through. I thank all parents who have lodged concerns with Transport NSW and/or their local Members of Parliament. Over the last couple of weeks, I have noticed an improvement in the arrival time of buses to pick up the students for their homebound journeys. While there are still some issues with buses leaving the bus depot on time, all buses have departed the College by no later than 3.45pm. It is imperative that the students also meet their requirements. OPAL Cards must be used to tap on and off. 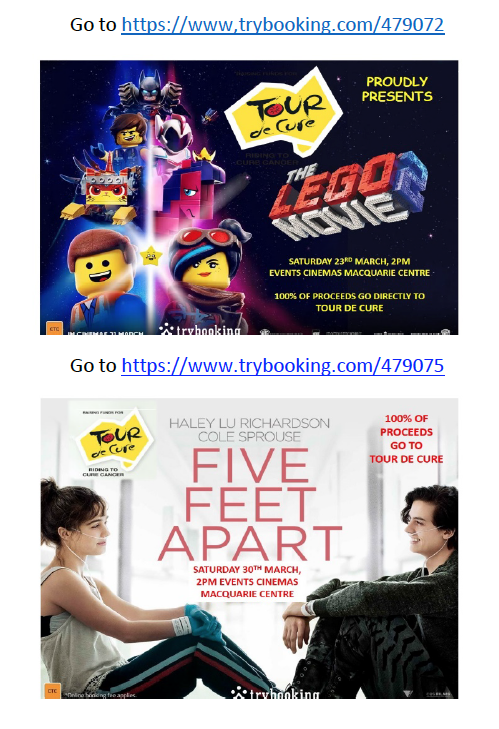 For further information and to apply for a School Opal Card, you may call 131 500 or apply online at https://www.opal.com.au/en/about-opal/opal-for-school-students. Added to this, students must ensure that they are using the correct bus service and not getting on the wrong bus as this impacts on other girls who are not able to use that service due to overcrowding on the bus. Over the next couple of weeks, I am working with the Western Regional Manager to develop a system that will ensure the students are getting on the correct bus service which will be based on the postcode of residence for each student. I continue to encourage parents to lodge their concerns to State Transit each time there is an issue. To assist you with this we have placed the phone number of State Transit onto the College Parent Portal “Engage”. Alternatively, you may lodge your complaints at https://transportnsw.info/contact-us/feedback/bus-feedback. Your assistance and support with this is very much appreciated. This Sunday’s Gospel was the story of the Transfiguration of Christ. Following the tragic terrorist attack in Christchurch on Friday, we all questioned if anywhere in our world was safe from this type of darkness. Often at times of great despair such as this, we question our faith in humanity. But the Transfiguration serves as a story of hope and teaches us that love has a way of changing things and breaking down barriers. On Mount Tabor the disciples Peter, John and James witness the transfiguration of love as manifested in Jesus, a new type of love that is more full than any love they have known before. They then see Moses and Elijah and through them see God in all his Glory. For all of us, we rarely get to “see” God in all his transfigured Glory. Only through our connection with Jesus do we “see”. I am sure that Jesus and his disciples were tempted to stay atop the mountain and escape the grief and pain of their lives. However, Jesus leads them back down the mountain, now armed with strength and encouragement to continue towards his Cross and face the reality of their world. Here he would reveal new truths with his message of love. We pray that in this time of Lent, we recognise the love and kindness in all we come in to contact with and feast in what connects us rather than dwelling in what divides us. 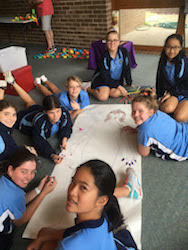 Year 8 Reflection Day was held on Monday 18 March at Holy Name of Mary Parish Hall, Hunters Hill. 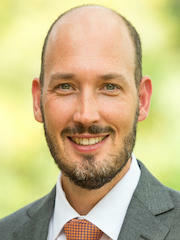 The day was facilitated by Chris Hopkins from Hopkins School Ministries, who focused on the nature of relationships with God, with ourselves and with others. 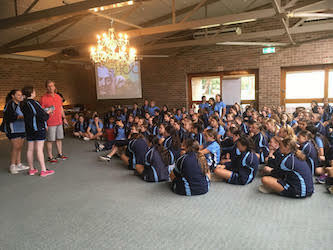 Year 8 participated in the Reflection Day with a fantastic level of respect and maturity, which was most appreciated. It was beneficial being in a space away from school to enter into the reflective spirit and to build positive relationships among the cohort. Thank you to the Year 8 Religious Education teachers for their energy and contribution to the day. 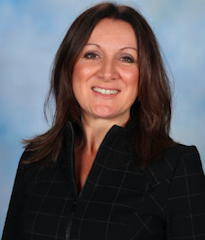 A special thank you to, Mrs Adriana Hunter our Assistant Religious Education Coordinator for her superb organisation and leadership of this event. Students in year 7-10 have now had the opportunity to benefit from the after-school presentations designed to improve organisational and study skills. I encourage all students to take advantage of the strategies presented in these sessions and apply them at school and at home. 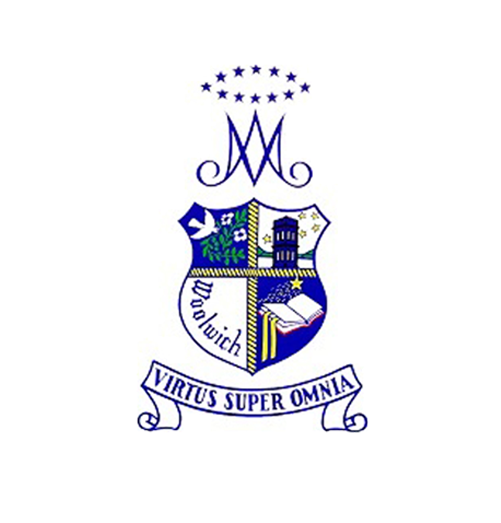 The College is a subscriber to this website which means that all parents and students at the school can access the site at school and at home. Please take some time this week to log in and have a look. Each night students should work on homework first, then assignments or test preparation. After this students need to look for other things they can do to enhance their understanding of their subjects, such as making study notes, doing extra questions, revising earlier topics. The best way to deal with distractions is to work in half hour blocks with no distractions during this time. This means during the half hour blocks allocated to schoolwork, no social media etc. not for the whole night, just for those half hour blocks. One of the biggest mistakes students make is leaving their study notes until just before their exams. One of the best habits students can get into is doing their study notes throughout the year, at the end of each topic is a good time to do this. Whenever students don’t have much homework, they should be working on study notes. 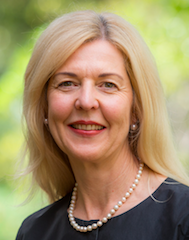 A reminder that Dr Prue Salter will be presenting at the College on Wednesday 27 March to both Year 7 students and their parents/carers 7.00-8.30pm in the College Hall. Please ensure you have registered for this evening via the e-Form attached to the SkoolBag alert. The College was proud to support the annual campaign ‘National Day of Action against Bullying and Violence’ last week which involved active conversations from whole school, through to opportunities of engagement in Year and smaller Tutor group connections. We are committed to the current structures and processes in place to help keep our community safe around bullying or harassment. 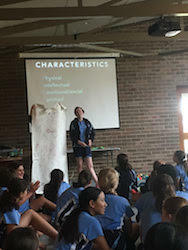 Throughout the week in our Community Time, our students connected with their peers with the focus aimed at developing greater self-awareness around their social and emotional learning. Belonging, acceptance, compassion, healthy friendships and monitoring our self-awareness is key in helping to educate our students around the issues of bullying and what relative strategies can be effective in empowering them to speak out against unacceptable behaviours. Bullying prevention is the responsibility of all community members. There are three main types of bullying behaviour: verbal, which includes name calling; physical, which includes hitting or physically hurting someone; social, which includes being excluded from a group or activity, cyberbullying or sharing information that may be hurtful to someone. If any of these occur just once, this may not in itself be seen as an act of bullying; however, if these behaviours are repeated many times towards an individual, either directly or indirectly, this behaviour can be seen as bullying. Many people are quick to recognise the first two types of behaviour, but fail to realise that excluding someone can be just as traumatic as verbal or physical abuse for the victim. So what should your child do if they feel they are being bullied? First and foremost, they should talk to someone! Talk to a trusted friend, parent or someone at school that they are most comfortable with like their House Coordinator, Tutor, subject teacher. Once your child tells someone how they are feeling, then strategies can be put in place by parents and the College to help manage the situation. Aside from each student in the community reciting a whole school pledge, each Tutor group was also asked to work collaboratively to compose their own pledge. Not let labels define us, just as we will not put labels on others. Not let toxic people and unhealthy relationships negatively influence our mind and spirit. Not be a bystander to bullying, but an upstander against bullying. Take into account the wellbeing of others. Show respect even to people who do not deserve it. I promise to… speak up when I see bullying, reach out to others who are bullied, not join in when others are bullying and be a friend when I see bullying. I believe that everybody has the right to live in a community where they feel safe, included, valued and accepted regardless of their differences. I pledge to be respectful of others and stand up against bullying whenever and wherever I see it. The House Coordinators and myself were most impressed by the genuine and sincere effort made by all groups to support the cause in making a difference. #Bullying.NoWay! 8 March was International Women's Day. A day in the calendar where we stop and celebrate what it means to be a woman. To mark the day, the Student Leaders circulated a variety of Youtube clips and quotes to mark the occasion. 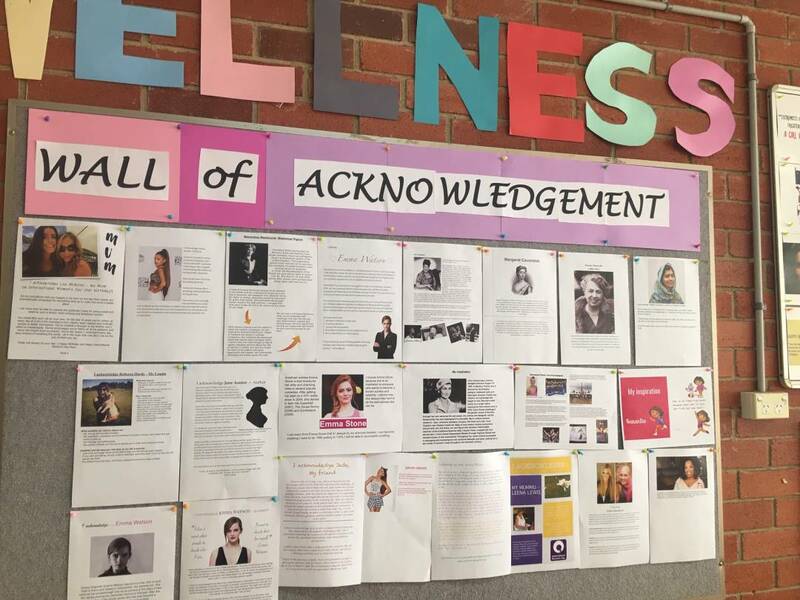 As part of this day, the girls created a "Women's Acknowledgement Wall". 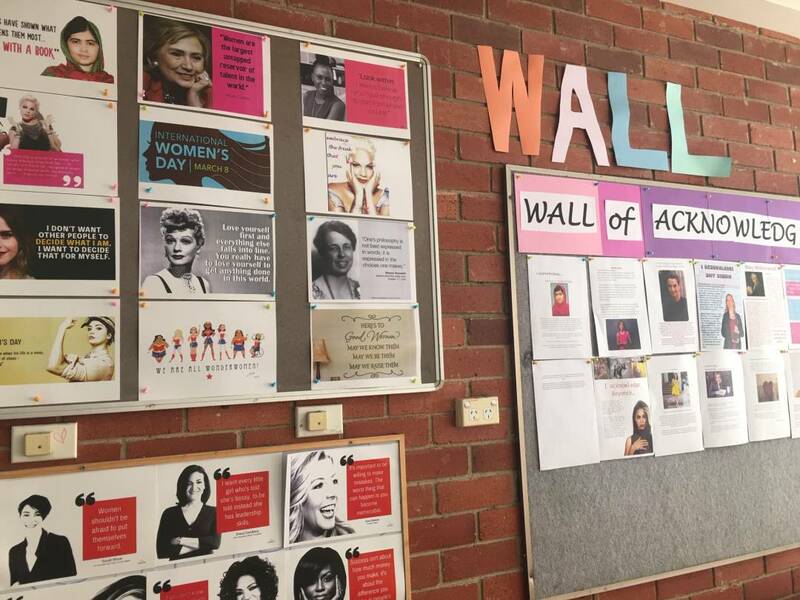 Students were ask to contribute by writing a short piece of writing acknowledging a female role model they admire. There was a variety of family members, sport coaches, fellow students, historical figures or a few celebrities. These were people that they saw as good ambassadors or role models for young women. 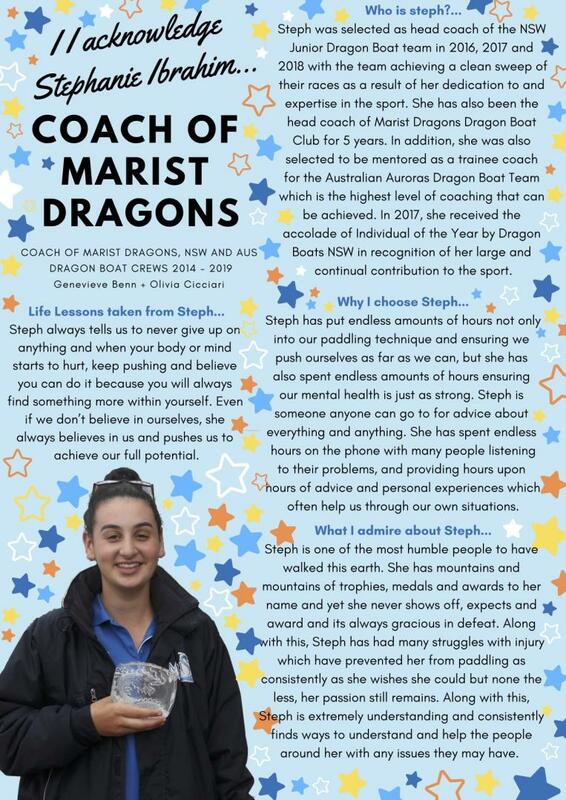 Below a submission written by students in Year 12, Genevieve Benn and Olivia Cicciari who acknowledged an ex-student of MSCW, Stephanie Ibrahim, who is their Dragon Boating Coach. In the wake of the heart-breaking terrorist attack in Christchurch this week, we as adults, are horrified and saddened by the violence, loss of innocent lives and the terrible casualties that have occurred…one can only imagine how our children are also experiencing this. Some of us including young people, would have witnessed the graphic live streaming on Facebook of the shootings, and as a result may be carrying the trauma of this. It is essential to understand that repeated exposure to violent footage can increase the risk of anxiety and or other issues. Minimising exposure to any imagery/audio is a good idea, as it reduces the risk of anxiety. Talk with your children about this risk. So what do we tell our children when terror strikes? Should we be discussing these events? Your children (depending on their age), will very much be looking to your own reaction, so open and honest communication is the key, ask your young people about how they are feeling and if they have any questions about the attack. Remember that the vast majority of young people will cope with this tragedy and will be OK.
Parents can remind children that whilst we cannot change the atrocity that has occurred, we can choose how we respond – working together and promoting kindness, compassion and respect for all, will help promote a future or hope and cohesion and work through the emotions we might be experiencing. The advice generally is that talking about these issues is better than avoiding them. 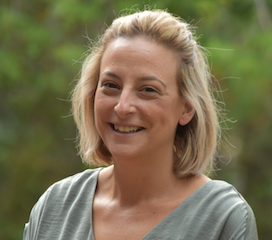 Consultant clinical psychologist Emma Citron, who specialises in children and trauma, says “families should not shy away from talking about such events...give children basic facts, tell them what it is they want to know, ask them what they would like to know and then give them access to that," she says. “Support them and comfort them and be there for them, hug them, cry with them if they're crying, just respond to how they're responding emotionally. Take the lead from them - we need to know what it is they want answers to." Should I turn off the television in these circumstances? While turning off the television might be a natural protective instinct, Dr Bernadka Dubicka, from the Royal College of Psychiatrists, says shielding children from traumatic events in the news isn't practical in today's society. "Parents can't shield children from these events completely," she says. "The reality is that children and young people are bombarded by 24/7 news." Dr Dubicka says the most important thing is for parents to be there and to try to help their children manage their emotions. Schools are an important protective factor at these times for young people as they provide stability, routine and a sense of connectedness, which are important and can carry young people through. How would I know if my child was traumatised? 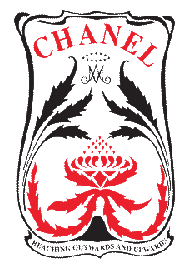 Physical symptoms such as headaches and stomach-aches. Attending vigils, memorials services, prayer or allowing symbols such as the fern of New Zealand which was displayed on the Opera House and the flying of our flags half mast, gives us a chance to respect all those impacted, and experience being united with family, friends, country and as a human race, whilst we grieve and make a stand for tolerance, inclusiveness, compassion and kindness toward others. 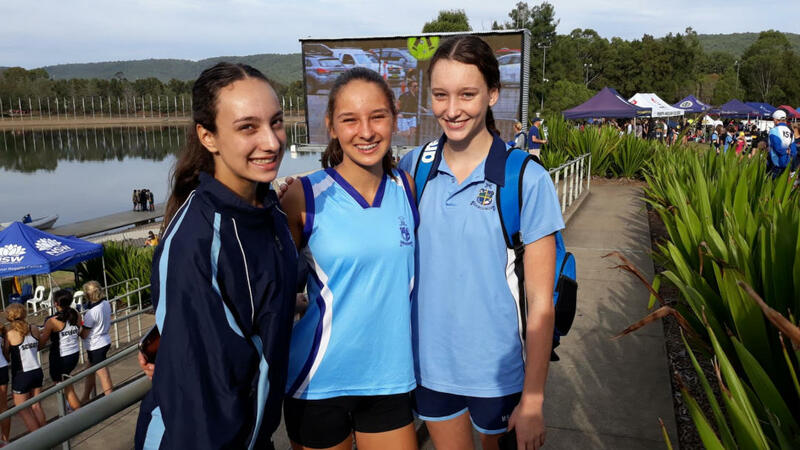 If you wish to discuss the above or have any concerns about your young person please feel free to contact the College Counsellor, Becky Salter via rebecca.salter@syd.catholic.edu.au or ph: 0435 659 694. 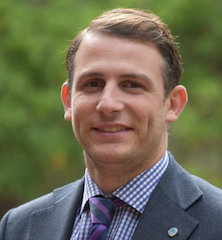 Sydney Catholic Schools has provided a second update to parents regarding the upcoming State Election on 23 March. The first round of immunisations will be held on Monday 8 April, when the students will be receiving the 1st dose of HPV & dtpa. The second round of immunisations will be held in Term 4 on Friday 8 November when the students will be receiving the 2nd round of HPV. For students in Year 8, where a student has started the HPV (Human Papillomavirus Vaccine) in 2018, they can have catch ups on Monday 8 April. Please note if you sign the consent forms and later decide you don’t want your daughter to receive that vaccine we can only accept it in writing. 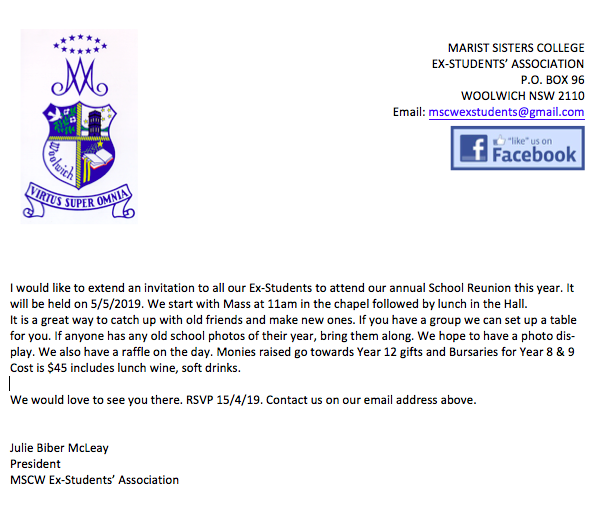 If you have any queries please email georgina.hewitt@syd.catholic.edu.au. The clothing pool will be open on Wednesday 27 March and Friday 29 March between the hours of 8.30am and 9.30am for any second hand uniforms. This is a great opportunity to purchase any second hand winter uniforms. Please note we currently do not have any size 6, 8 or 10 kilts in stock. We will let you know when these sizes become available for purchase. We also have a variety of items donated including, TDP tops and jackets, TAS kits, art aprons and hospitality uniforms. All sales are cash. 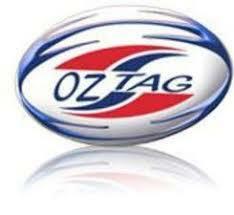 I am contactable by email - elizabeth1112@bigpond.com for all enquiries. 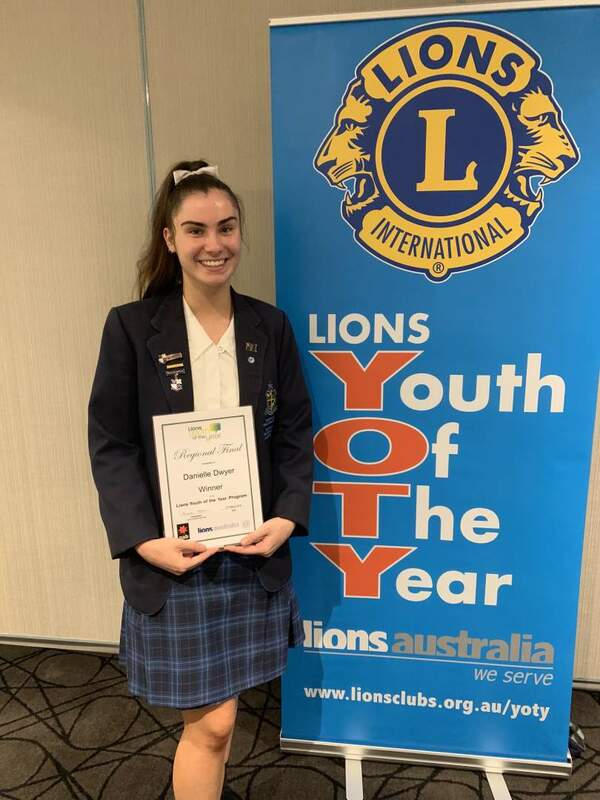 In the last newsletter I wrote about College Captain Danielle Dwyer competing in the Lion’s Club ‘Youth of the Year’ local competition. 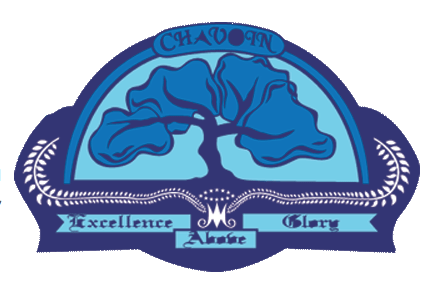 This competition is run annually for leaders in high schools. 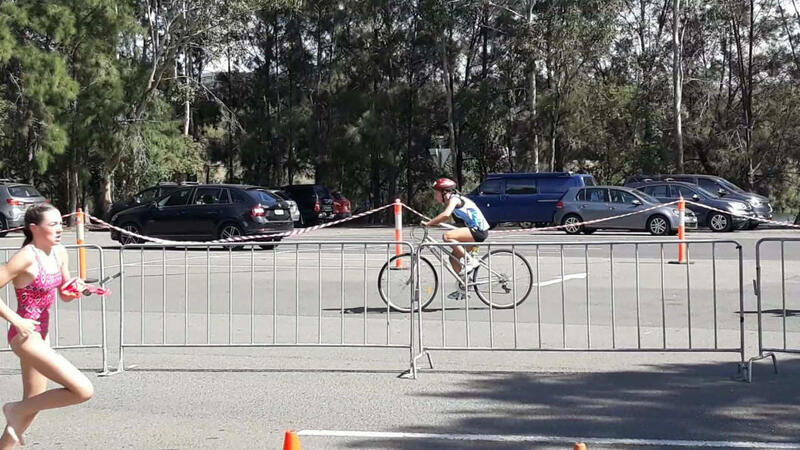 After her win at the local level, Danielle proceeded to the Regional final at Ryde Eastwood Leagues club last Tuesday night. 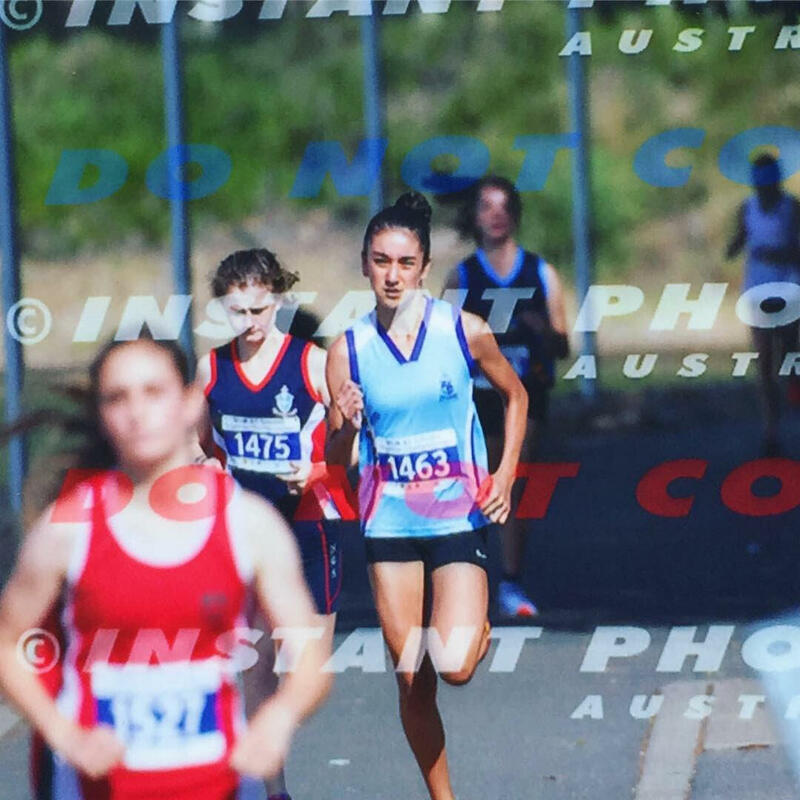 This time Danielle had two competitors from William Clarke College and one competitor from Normanhurst Boys High School. The standard of the competitors was very high. 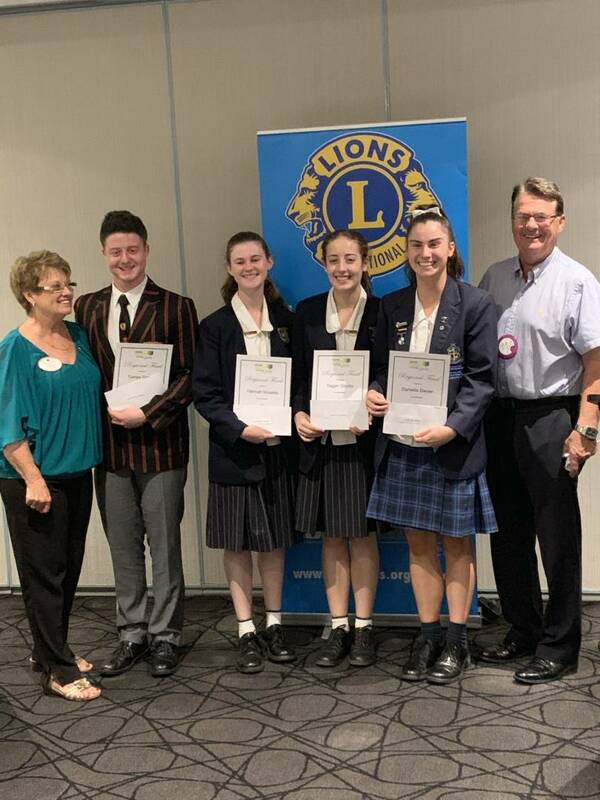 As the chief judge noted on the night, the majority of the marks (70%) come from the panel interview prior to the Public Speaking round. This time the interview, before a panel of three, included questions on politics, conservation and even more personal questions like, “What has been your greatest challenge?”. Danielle once again, completed two impromptu speeches. This time the very pertinent topics were; ‘Should we change our national anthem?’ and ‘What actions would you take to eradicate cyberbullying?’. Danielle acquitted herself excellently, speaking with confidence in a way that many adults would not be able to emulate. After all, isn’t public speaking one of most people’s greatest fears? Danielle also, delivered her prepared speech on women in the workforce - dazzling the audience with her oratory prowess. 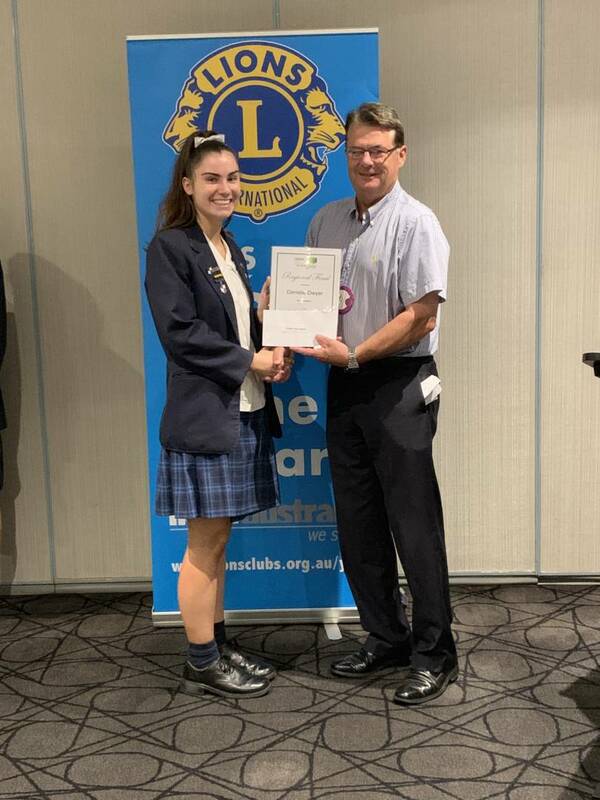 We are pleased to announce that Danielle was declared the 2019 Regional winner, which means that she now proceeds to the District final to be held at Bankstown Sports Club on Saturday 23 March. Danielle was a very deserving winner, with many in the room congratulating her on this wonderful achievement. 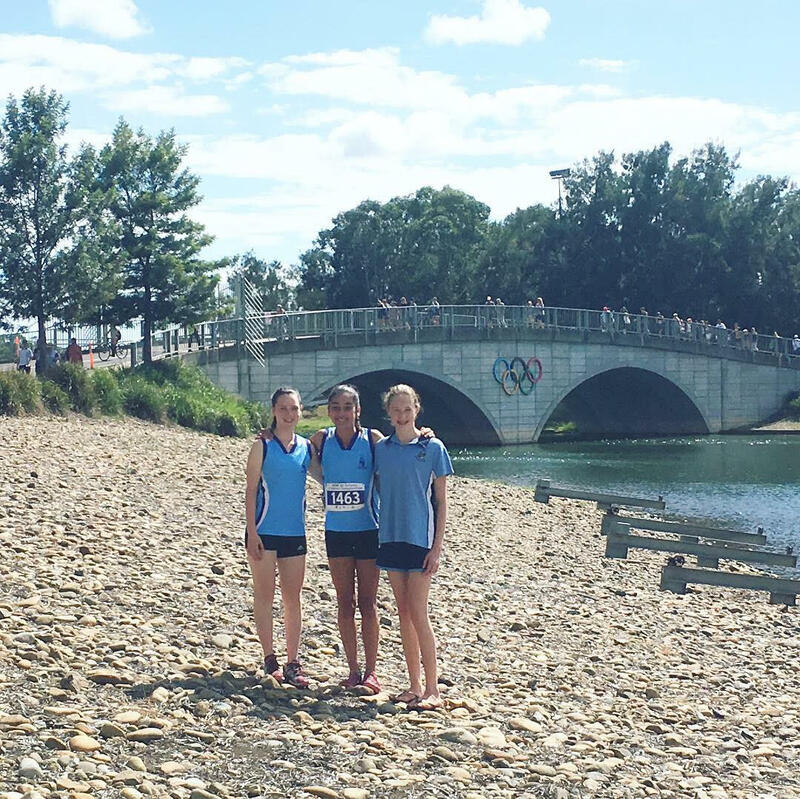 Ms Cremin, Ms Smith and Ms Mathews who attended the event in support of Danielle, were once again very proud of the way she represented the College. 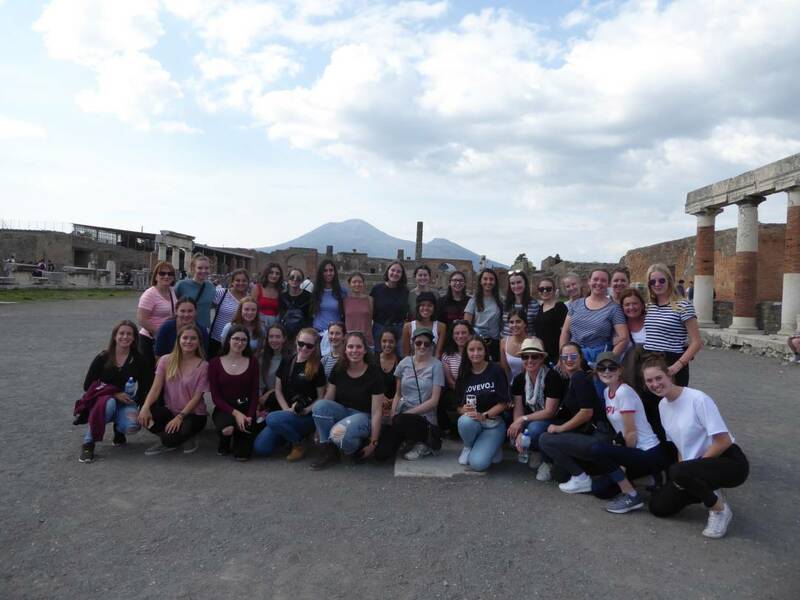 Another exciting European History Tour is being organised for the end of Term 1 holidays in 2020. 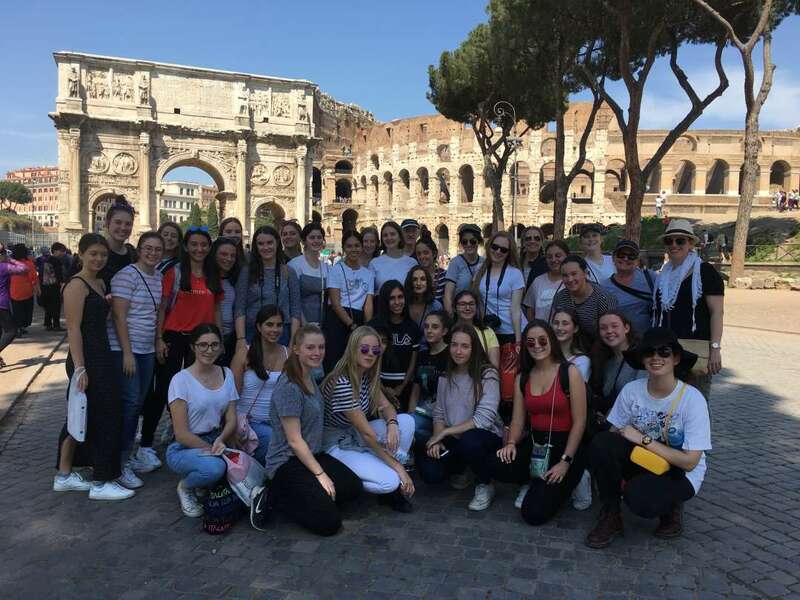 Students will visit historic cities and places that will help them in their senior studies in Ancient and Modern History. The tour is open to students from Years 9, 10 and 11 who are studying/will study history in Years 10,11 & 12 in 2020. Priority will be given to the senior girls if we have too many applicants. 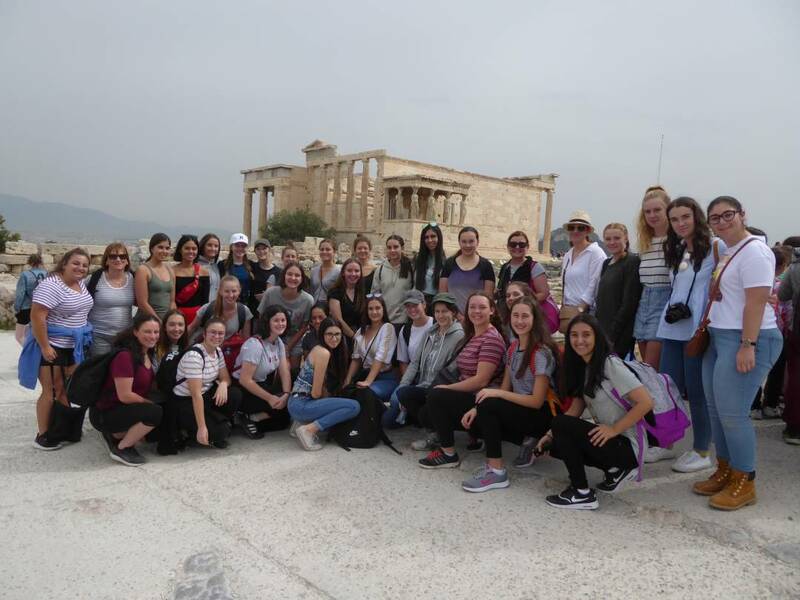 A draft itinerary has been created with students visiting cities such as Berlin, Munich, Athens, Rome and London and an expression of interest form will be sent to students from across these eligible grades this week to determine numbers. An information night for parents and students will be held in Term 2 on 6 May at 6pm in Belley. Margo, a representative from Travel Yonder, will go through the itinerary and answer any questions. We will also distribute application forms on the evening. 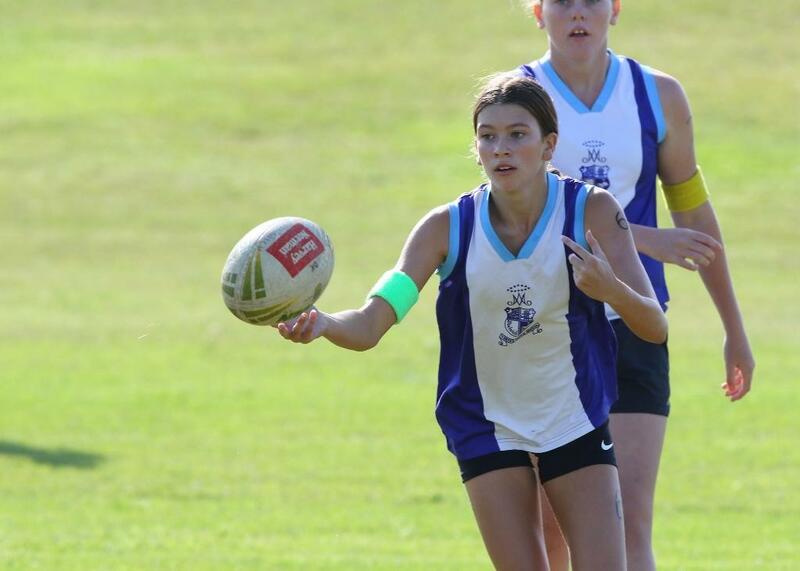 On Wednesday 27 February, the annual CGSSSA Touch Football Championships were held at Queens Park, Waverley. 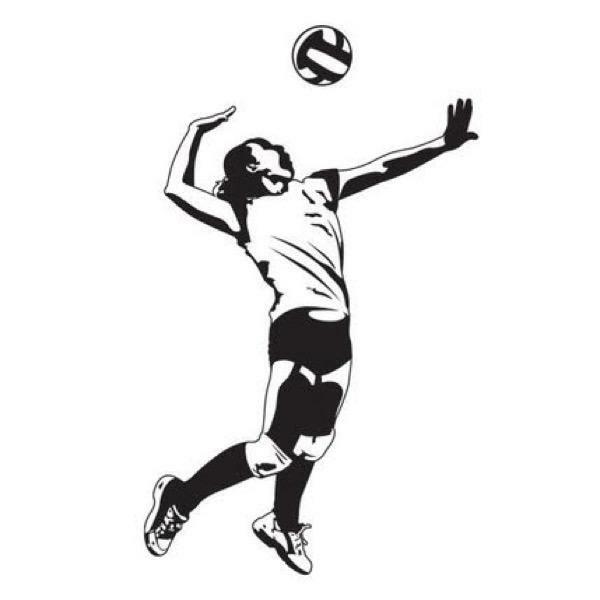 The Junior Team (consisting of students from year 7-9) finished the round games undefeated. After finishing top of their pool, MSCW won their semi final against St Scholastica’s, 3-1. This put MSCW through to the grand final against their rivals Monte, which they knew would be a tough game. Unfortunately, MSCW weren't able to get the job done and finish as champions, going down 1-0 in a close game. 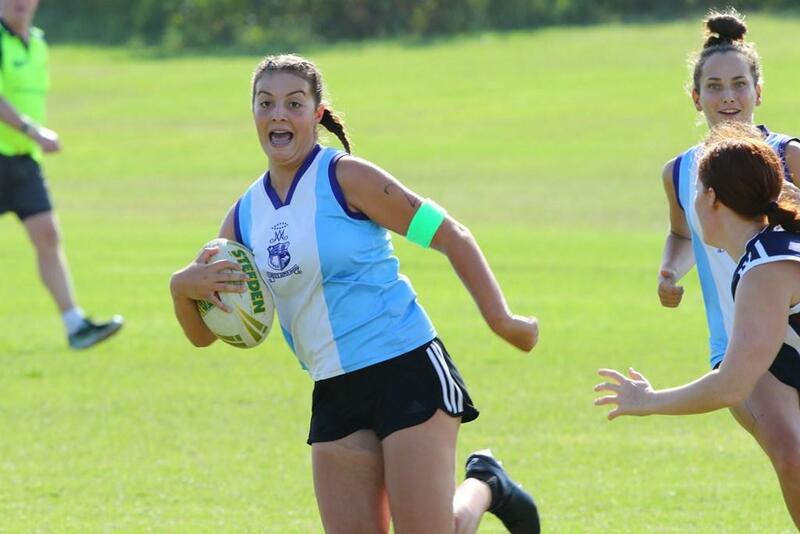 The Senior Team had a great start to their day, winning all five round games and having no tries scored against. First off, MSCW won 8-0 to St Clares, then won 4-0 to both Domremy then MSJ. After this, MSCW had a tight game against OLSH, only winning 2-0. 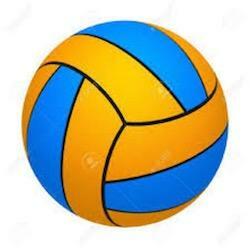 In order to win their pool, MSCW had to win their last round game versing Santa Sabina. Fortunately, the game was won 4-0, meaning MSCW would progress into the finals! In the semi final, it was a really close game against Loreto, only just winning with a score of 2-1. This meant that MSCW then went onto to face Monte in the Grand Final! It was a really tough game versing Monte, with no tries being scored within the first few minutes and both schools looking as though they could win. Unfortunately in the end, Monte outplayed MSCW and ending up winning 4-1. 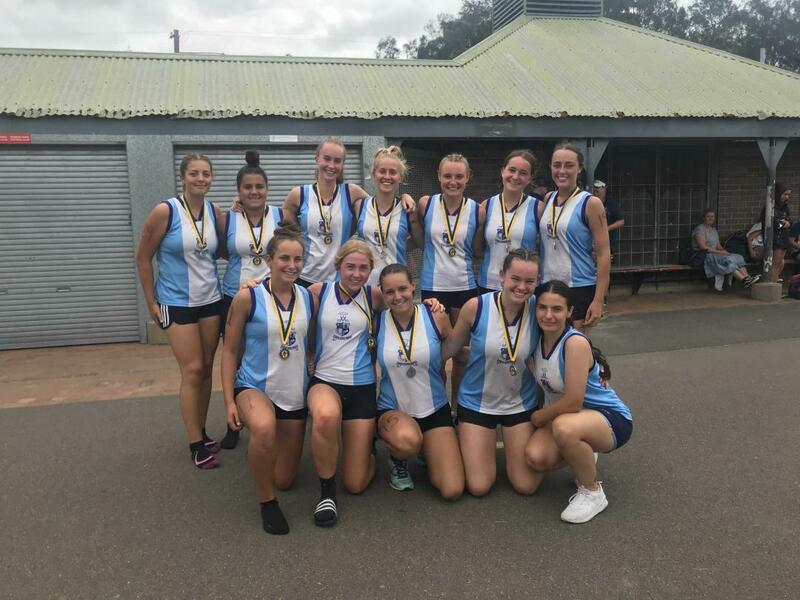 Overall, it was a great day especially for numerous students who were participating in their last ever CGSSSA Touch Football Championship - Abbie Lewis, Jordan Kelly, Sophie Gobran, Beth Lister and Chelsea Quinn. I would like to thank these students for their dedication to Touch Football here at the College over the past 6 years. 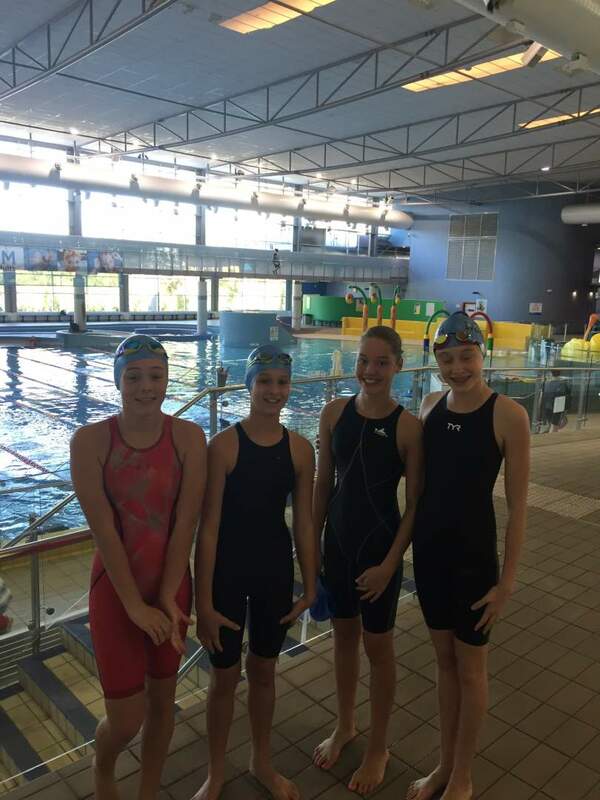 A special mention must go to the following students for being selected in the trial on CGSSSA representative squad. Please see below images that were captured on the day. 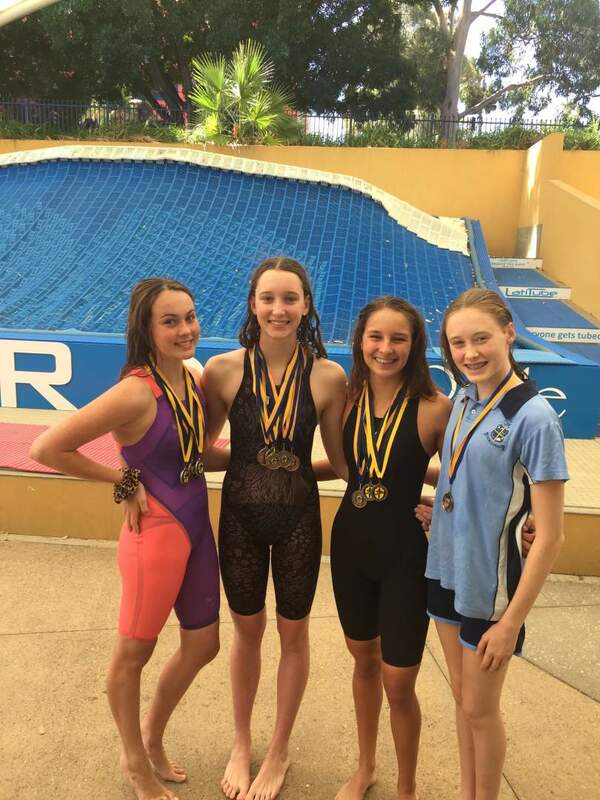 The MSCW swimming team competed in the annual CGSSSA Swimming Championship at Ryde Aquatic Centre on Tuesday 12 March. MSCW placed second in Division 2. 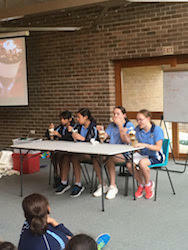 Well done to all the students who gave their best against strong opposition from Monte, Loreto and Brigidine. 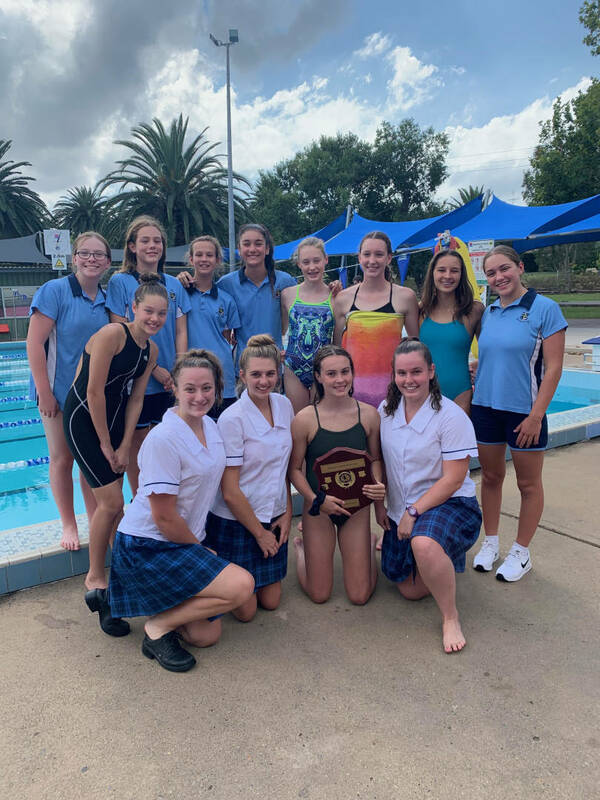 The MCCS swimming carnival was held on Thursday 14 March at Waves pool, Baulkham Hills, setting the bar high again in the pool, MSCW won the overall trophy for the fourth year in a row. Fantastic effort! 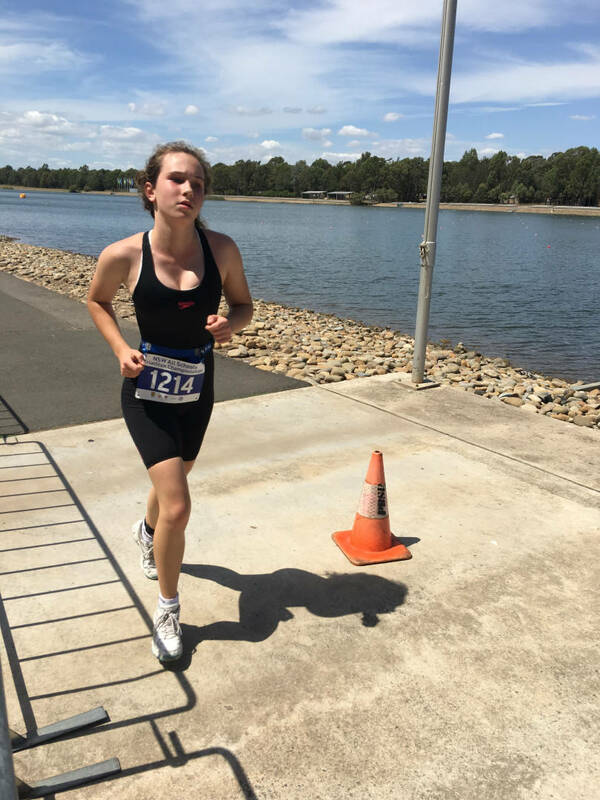 Over the course of two days (28 February - 1 March), eight MSCW students competed in the NSW All Schools Triathlon. 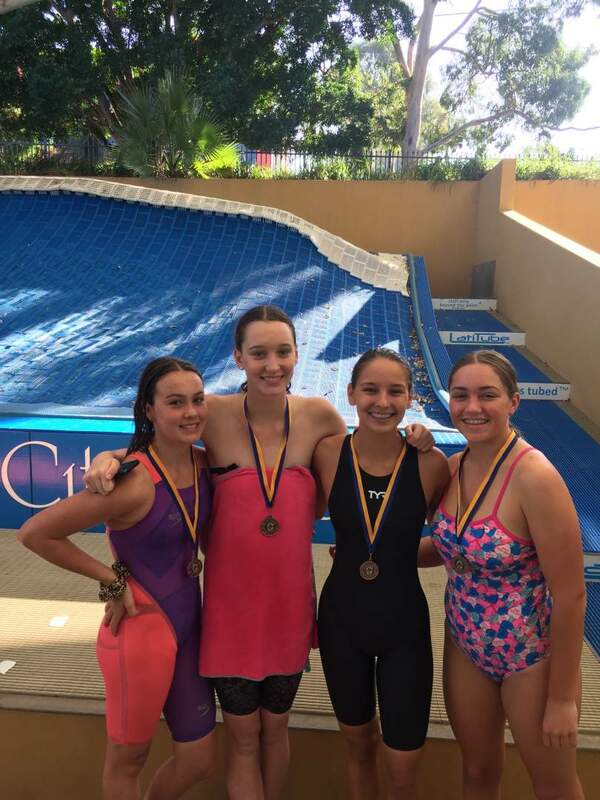 Two students competed in the individual event on Thursday 28 February and six competed in the team event. 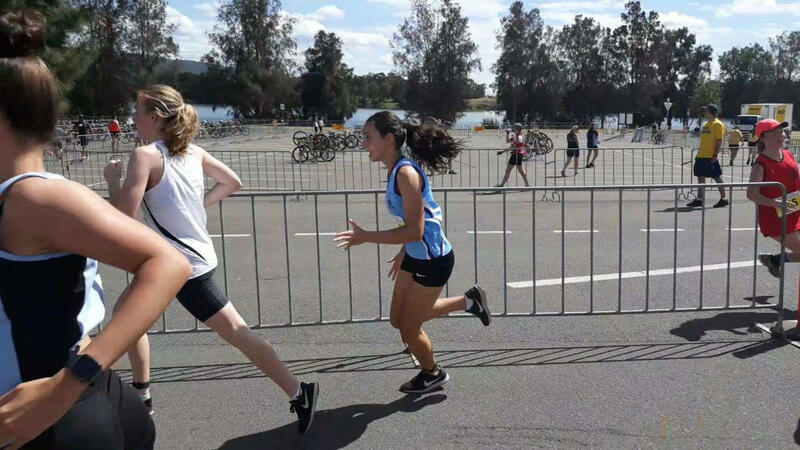 Each of the students gave it their all, racing against teams from all over NSW. 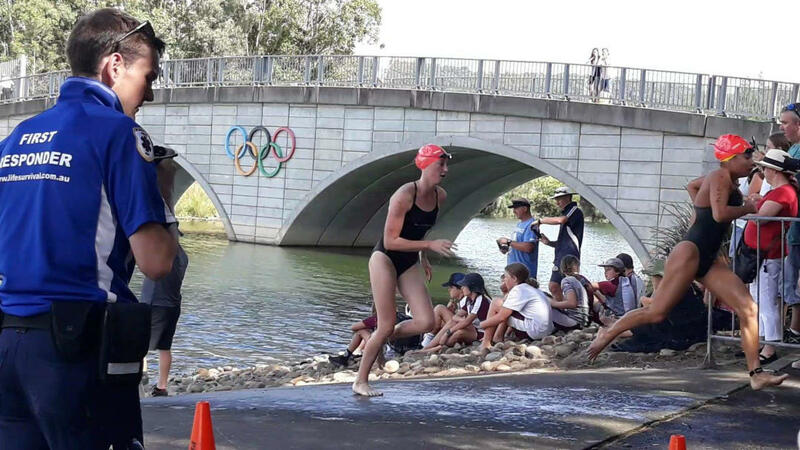 Sofia Watts, Bronte Fisher and Ava Gibson competed in the Junior Team event consisted of a 400m swim, a 10km bike ride and a 3km run. 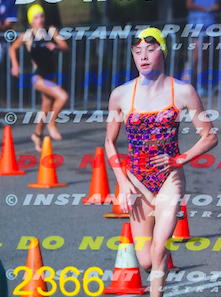 Ava was swimming, Bronte cycling and Sofia finishing with the run. They each did amazing finishing 36/132 teams. 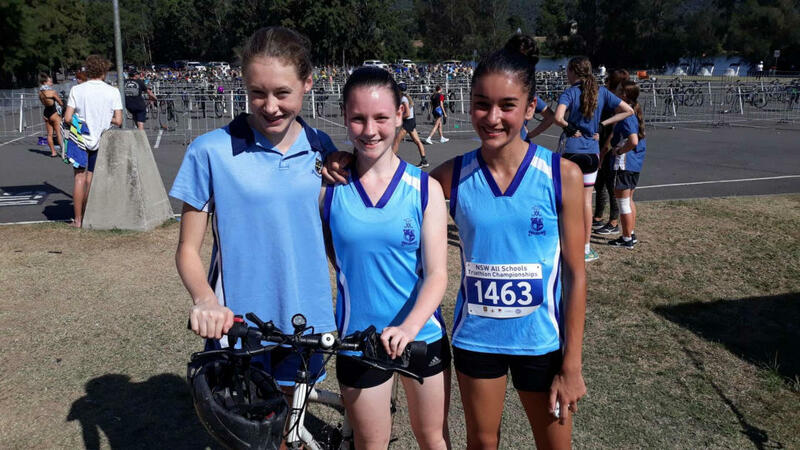 Anastasia Lakic, Abby Gibson and Emma Serrao competed in the Intermediate Team event consisted of a 600m swim, a 15km bike ride and a 4km run Abby was swimming, Anastasia cycling and Emma finishing with the run. 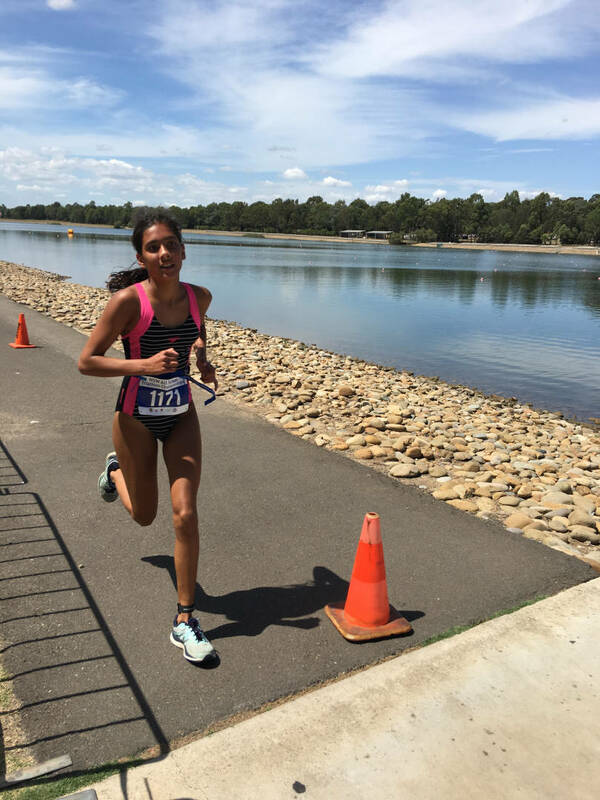 Tamara Jago and Zara Chand competed in the Individual event. 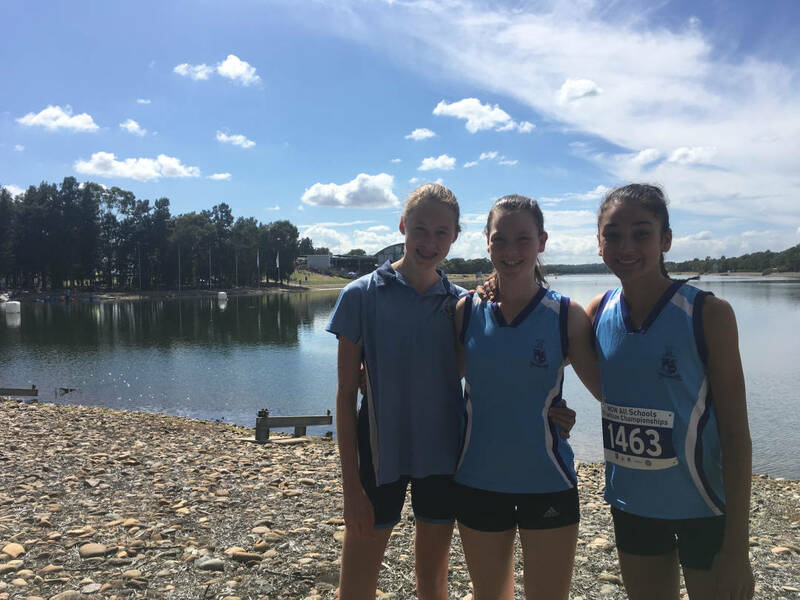 These two students swam 400m, rode 10km and ran 3km. 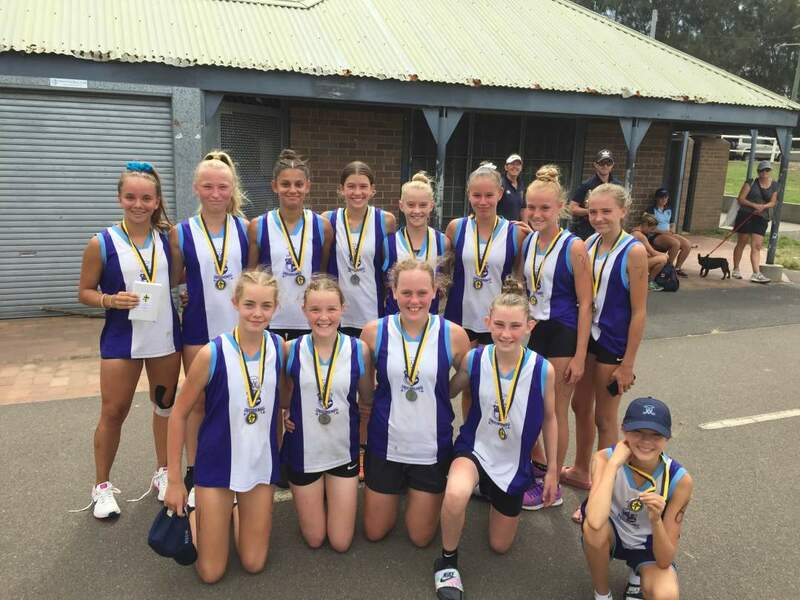 It was a very competitive field of athletes and these girls did amazing for what they could train for in a short period of time. There will be two celebrations of Confirmation on Saturday 18 May and Saturday 25 May both to be held during the parish Vigil mass at 6:00pm. To register for this Sacrament please email parish@stmarysconcord.org.au or contact the Parish office on 9747 4210. 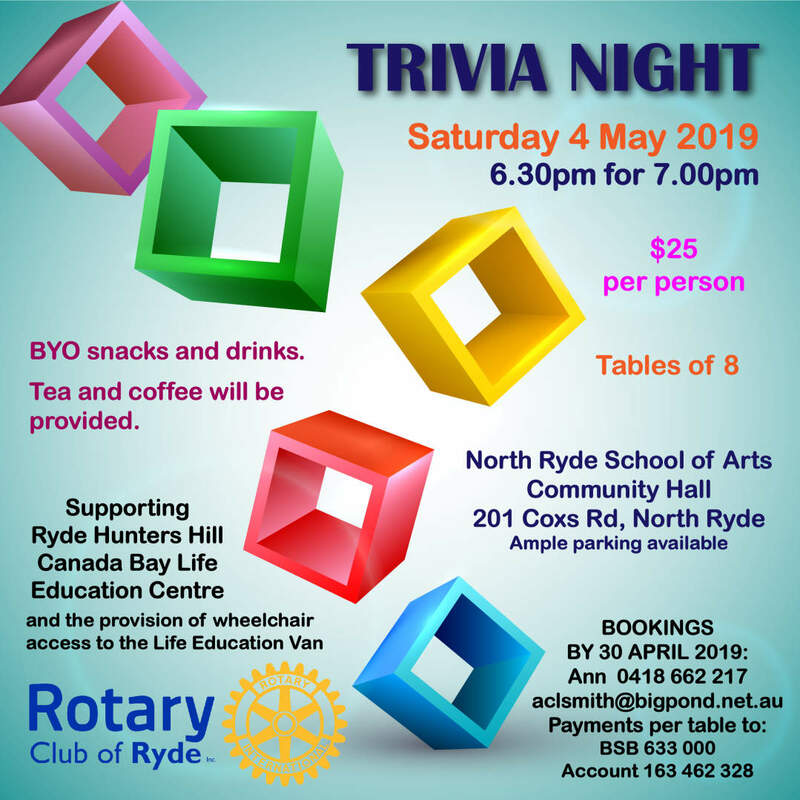 Registrations close on Friday 12 April. 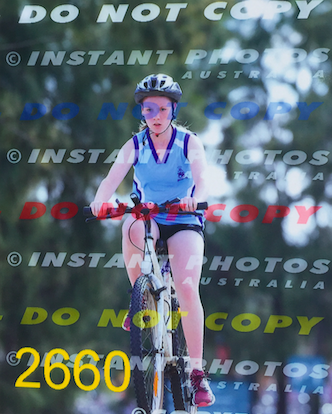 Tour De Cure is determined to support researchers in finding a Cure for Cancer. We have engaged over 110,000 school age kids, funded 320 cancer projects funded and supported 28 significant cancer breakthroughs. 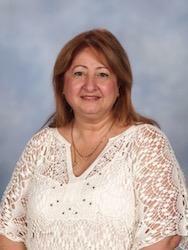 I lost my father and recently my aunty to pancreatic cancer. We could not just sit aside and watch family and friends suffer through this terrible disease. It has been over 5 years that we have been a part of the Tour De Cure family. Riding with Mark Beretta and the team to educate kids on being fit and eating healthy and donate large amounts of money raised to local charities in small towns that we pass through on our rides. Our kids have been our biggest supporters, working so hard in supporting Tour De Cure through numerous cake stall and bbq’s, as well as our 10-year-old raising $3500.00 shaving his head last year. We are aiming to raise over $15,000.00 for the years Signature Tour. Which leaves from Channel 7 Sunrise Show on 2nd May, where we make our way to Geelong by 11th May. Come join in the fun; get a gift bag, tickets for lucky door prizes, silent auction items and much more.